Situated in East Lavant, a stone's throw from the sporting pleasures of Goodwood, this civilised eighteenth-century pub The Royal Oak Inn has been given a sophisticated makeover by the current owners. A new extension has been tacked on and customers can now sip aperitifs on sofas, as well as quaffing pints of fine real ales at the bar. The kitchen delivers upbeat versions of gastro pub favourites such as haddock and chips with minted pea purée and salmon fishcakes with parsley and caper sauce, but concentrates most of its energy on restaurant-style dishes with a modern accent. Twice-cooked confit of duck comes with Savoy cabbage, boulangère potatoes, red wine and Puy lentil sauce, while Thai-baked sea bass is served with pak choi and lime butter sauce. To conclude, expect desserts ranging from classic crème brûlée or old-fashioned mulled wine trifle to chocolate and pistachio slice with elderflower ice cream. At lunchtime, you can also get a few light dishes, and the wine list jets upwards from workaday house selections to classic French vintages. 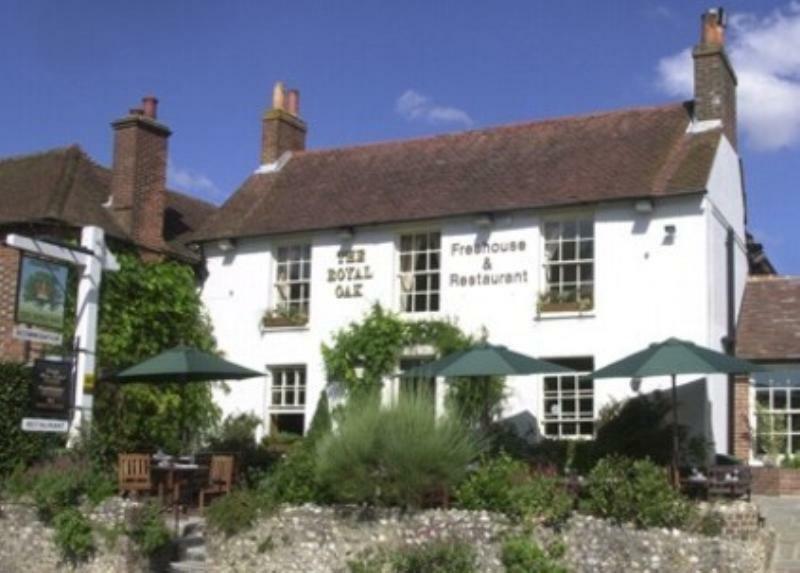 If you fancy lingering, the Royal Oak has six letting rooms and two flint cottages nearby.